The Library! 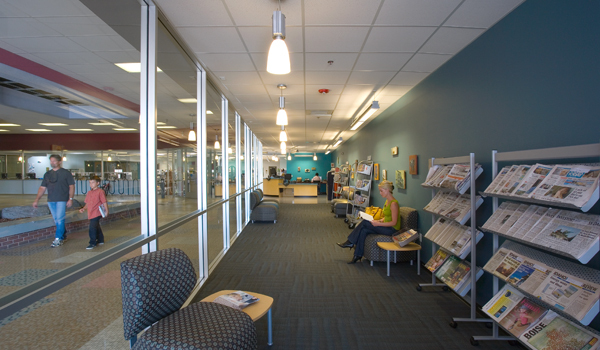 at Hillcrest is one of the first, new branch library for the Boise Public Library and is located in a well established shopping center of Boise’s upper bench district. The new library space combines three formerly empty tenant spaces of struggling-but-slowly-revitalizing strip mall into a new neighborhood hub. Encouragingly, nearby tenant spaces in the building include a community theatre, a styling school and a church. 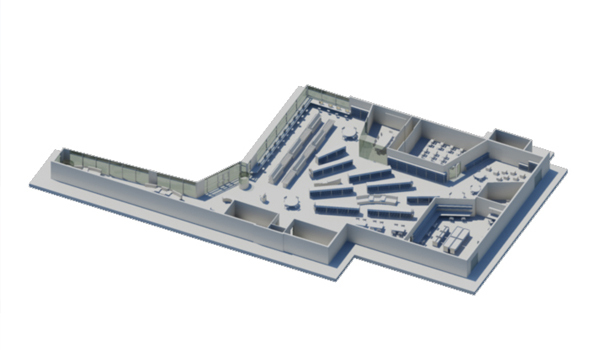 The library provides 7,500 new square feet of public library space, 30 internet accessible computers, and a collection of 15,000 books, movies, magazines and newspapers. There are two community meeting rooms, study areas, a magazine and community ‘living room,’ a children’s area, staff offices and a break room. 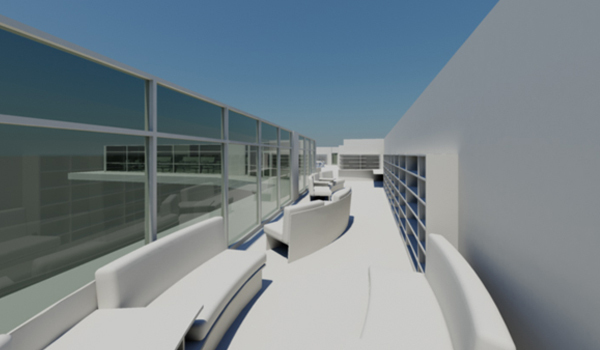 The library spaces are day-lit by two dozen state-of-the-art skylights installed throughout the library. 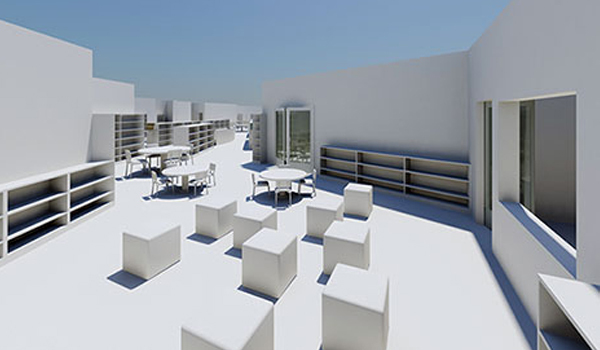 The skylights, used in conjunction with an electronic daylight harvesting system, reduce energy consumption and provide natural daylight for the patrons and staff of the library. Material and color palettes were built around some of the traditional colors lending tribute to the many ethnic members of the neighborhood. 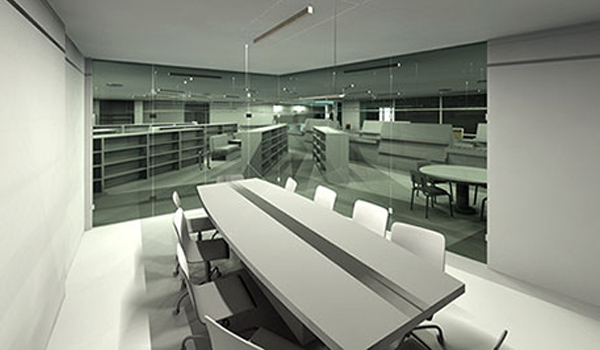 All of the building’s finish and furnishing materials incorporated into the library are sustainable and healthy. 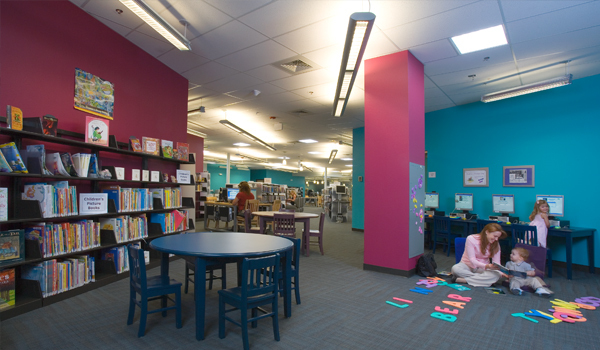 The layout of the Hillcrest Neighborhood Library incorporates a radial plan interrupted by luxurious lounge seating, study tables and display areas. The spatial arrangement is at once relaxed and casual while allowing ease of visibility, providing security and comfort for both staff and patrons. Humor is also subtly deployed in the design. 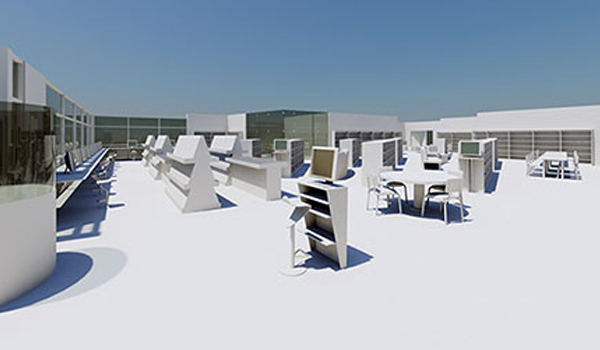 Because the Boise Public Library’s logo and branding so famously features an exclamation point, we have incorporated architectural exclamation points at multiple scales in the floor and ceiling plans. 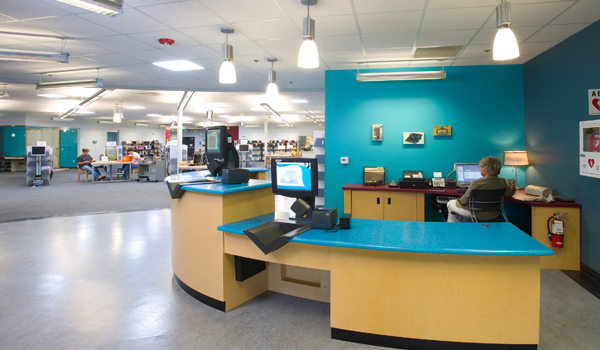 The Hillcrest Neighborhood Library is an important piece of cultural reinvestment in an older neighborhood of Boise. We believe this project will act as a catalyst toward the continued revitalization of this shopping center – but more importantly – we believe we have assisted in the critical establishment of additional public space and civic programming in this neighborhood.